Re-printed unedited by exclusive written permission of "Motor Sport". This article originally appeared in their July 1976 issue. New photos by Simon Austin have been added. 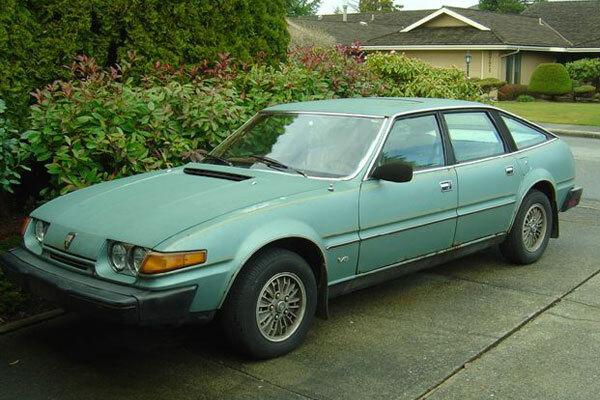 Unless I am very much mistaken, June 30th, 1976 will go down in contemporary motoring history as the day that Britain put the plug in the tidal flow of medium-to-large-size luxury cars poured in upon us, in ever-increasing volume, from Continental motor manufacturers. On that date (yesterday, to readers who receive MOTOR SPORT on its official publication day - who says monthly magazines are always late with the news?) 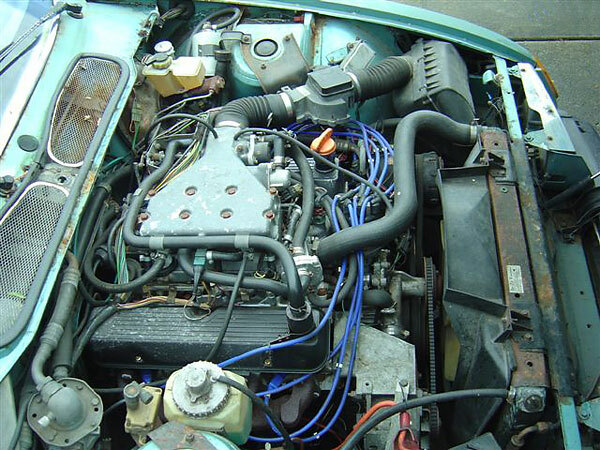 Leyland Cars announced the totally new, in all but name and basic engine, Rover 3500. This 125 m.p.h. five-door, five-gear, five-seat, 3.5-litre V8 saloon of thoroughly sporting demeanor and astonishing fuel frugality offers a specification which no Continental manufacturer can match. A specification which Continental manufacturers would surely persuade us was remarkably advantageously priced, if it was their product, at anything over £6,000. This new product, from a purpose-built, 64-acre factory in Solihull, part of a £95 million investment, can be bought for just £4,750. Amazing. 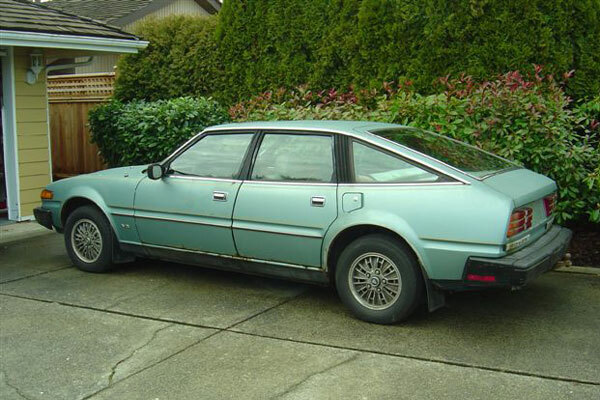 Whereas complexity was the key-note of the old P6 2000/3500 series, SD1, as this first new Rover saloon since 1963 has been known during its five year gestation period, has simplicity as one of its virtues, reflecting the changed approach of modern motor engineers. The steel body is of monocoque construction, the de Dion rear axle has been usurped by a live axle and that over-complex front suspension has given way to MacPherson struts. This has benefited production costs, ease of servicing, and weight, the last in relative terms, for this 26.9cwt car is 5.25 in. longer - at 15 ft. 5 in. - than the old model, while its 5 ft. 9 in. width is 3 in. greater, so consequently weighs 136 lb. more, in manual form. The engineering buck stopped at Rover-bred genius Spen King, now Leyland Cars' Director of Engineering, while responsibility for the modernistically stylish, aerodynamically magnificently efficient (it has a drag coefficient of 0.39), body lay with David Backe, Leyland Cars' Director of Styling. Talking of bucks, Bache says that early clay bucks of the design were put alongside cars like Ferrari and Maseratis "and despite the fact that it is a fully practical hatchback saloon car and not a cramped Grand Tourer it looked perfectly in keeping". The reason I mention this is that the front corners of that rounded nose shown unmistakable Ferrari Daytona influence - and who would complain about that? There is some Citroen and Lancia Beta resemblance too. For safety, this striking shape has a crushable-end, rigid passenger cell structure for impact and roll-over safety, horizontal compression struts in each door, the fuel tank mounted ahead of the axle beneath the floor and a front-hinged bonnet. If these features should be tested, repair has been facilitated in collaboration with the Motor Insurance Research Repair Association. 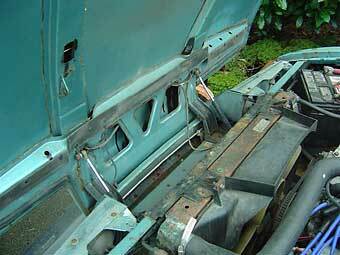 For anti-corrosion, there is full undersealing, electrophoretic priming, zinc-coated steel sills, stainless steel bumpers, a plastic front apron, an alumininised exhaust system and a system which feeds air from the heater intake chamber through the sill box members to prevent build-up of corrosive damp. That injection-moulded plastic front apron acts as an anti-lift air dam, directs air into the radiator and contains the standard fitment auxiliary lamps. 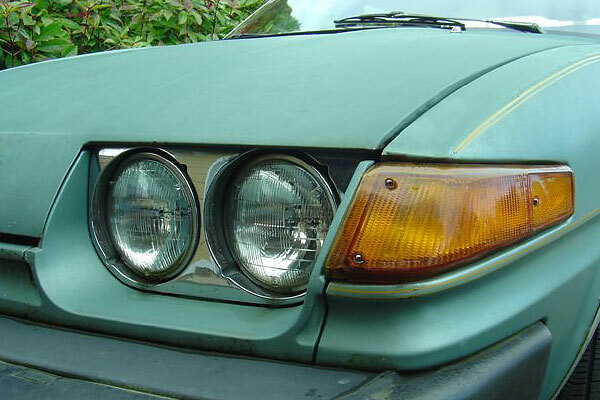 The inset, sloping headlamps are halogen Lucas H4, the rear lights incorporate high intensity fog guard lamps and reversing lamps and are crenellated, Mercedes-style, to avoid dirt build-up. 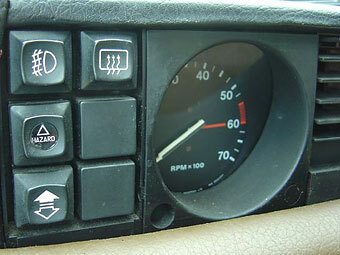 A warning light indicates failure of any side, tail, or stop lamp, a most useful feature fitted for the first time on a British production car. There are automatic warning lights in the trailing edge of each front door and mud flaps are standard, front and rear. Open the expansive, front hinged bonnet and the view of the twin SU HIF6 carburetter-becapped, all-aluminium V8, illuminated at night by two automatic lights, will be familiar to even a Range-Rover owner. 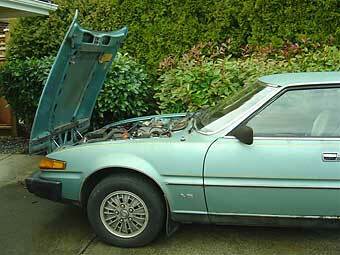 But the new car's engine, though still of 3,528 c.c. and oversquare dimensions of 88.9 mm x 71.1 mm, is much improved. Maximum power is increased from 155 b.h.p. DIN at 5,250 r.p.m., though accompanied by a fractional drop in torque from 202 lb./ft. at 2,700 r.p.m. to 198 lb./ft. at 2,500 r.p.m. Part of the power increase is released by allowing the engine to rev more freely, to 6,000 r.p.m., as against 5,200 r.p.m. in its old Rover form and 4,750 r.p.m. 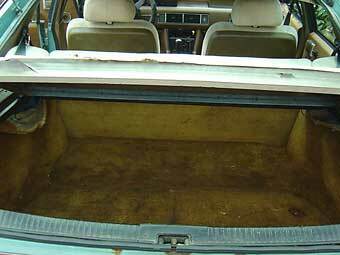 in its original GM-Buick guise. To achieve this, the valving in the hydraulic tappets has been altered, inlet and exhaust valves increased in size, valve springs changed and porting and manifolding improved. With space restrictions of the old body shell gone, Rover have been able to fit the much more efficient extractor-phased exhaust manifolding design for the still-born mid-engined BS sports car. There is Lucas electronic contact-less ignition, too, energising Champion N12Y plugs. Another detail emphasising the many leaves which have been taken out of German books in this new Rover's design is the fitment of plug-in diagnostic equipment, using a magnetic transducer on the crankshaft damper. Further improvements in the engine itself involve the oil and water pumps, a narrowing of piston ring width to lower their inertia and the adoption of Leyland's award-winning air temperature control valve on the manually-choked unit. 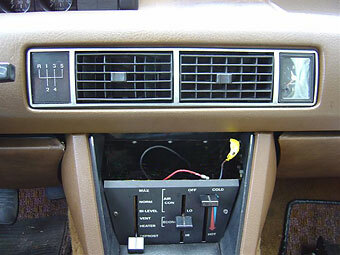 Accessibility of plugs, carburetters, distributor, alternator and dip-stick is first class. Where Spen King is concerned nothing is quite so straightforward as first glance might suggest. So you find that the live rear axle has a torque tube arrangement, anti-dive, anti-squat geometry, and self-leveling, the last using the ingenious leveling damper units first developed for the Range-Rover. Further axle location is provided by trailing links and a rear-mounted Watts linkage; cushioning is provided by constant rate coil springs. The torque-tube means that only a fairly short, single propshaft is needed, which knocks vibration problems on the head. For the front suspension, the nowadays "I wear all marque hats" King has utilised Triumph 2000 Macpherson strut experience for his beloved Rover. The tops of the struts swivel in ball-bearing mountings and coil springs are offset to give less "stiction". As per normal MacPherson practice, the anti-roll bar and track controll arms locate the wheels. Burman power steering is standard - and uses rack and pinion for the first time on a Solihull Rover. Mounted ahead of the suspension crossmember, it uses torsion bar sensing for progressive steering feel. Its 2.7 turns lock-to-lock for a modest 34.3 ft. turning circle add another star to the score you will find in my driving impressions which follow. In some ways this new Rover appears a contradiction in terms of what the public in the past have been told is engineering advancement. Firstly, I've just written the de Dion axle out of the story (how many times have we been told that the de Dion is the best means of rear axle control?) Now, I shall dismiss rear disc brakes, about which Jaguar and Rover have at times done so much shouting - and owners and mechanics have done so much swearing. Thank you, Rover, for the outboard 9 in. rear drums (with efficient handbrake), ably backed by 10.15 in., non-ventilated front discs, serviced by dual-line hydraulics and a direct acting servo. Those drums have a pressure limiting valve, automatically isolated in case of front brake failure. So often, the pre-announcement "blurb" and speeches thrust upon we motoring journalists by motor industry PR men are so much hot air fragranced by unfactual superlatives. Leyland are as good at doing that as anybody else. Rarely are we given a chance to sort out fact from fiction over lengthy mileages before writing announcement stories. Thanks to improved co-operation towards MOTOR SPORT from Leyland Cars, with whom we have not always seen eye to eye of late, I have been able to confirm both my own ecstatically enthusiastic reaction to my 200-mile Press launch drive and Leyland's own Press release superlatives with a subsequent several days and 1,200 miles of living with Pre-Production Vehicle No. 3, a Midas Gold, five-speed manual version of this new Rover. "Well, what do you think of it so far?" asked my passenger, Motoring News' Alan Henry, jocularly, within only a couple of hundred yards of the Chateau Impney, near Droitwich, as we left for the 200-mile Press Launch Drive in this new Solihull Sports Saloon. 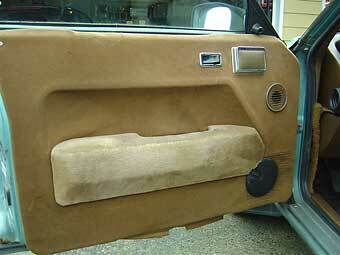 Some cars take a thousand miles' accustomisation before I decide I like them or not. This time, as I settled down to the tautness and torque of this big hatchback saloon and snicked that so-positive gear-lever through to its fifth speed for the first time, I had an instant conclusion: "This, Alan, is a proper motor car. I want one!" 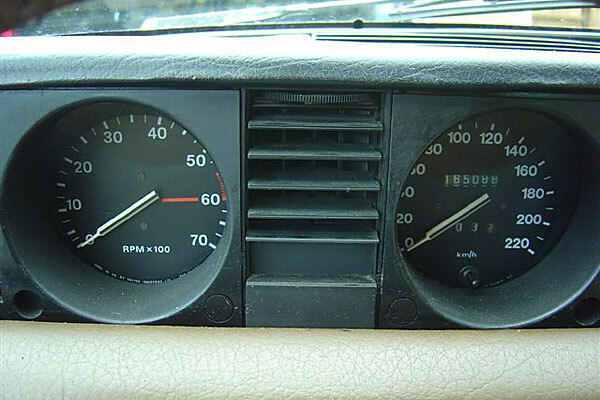 The subsequent 1,400 miles in that initial car, the road test car and a few miles in another fitted with the optional Borg-Warner 65 3-speed automatic, a most effective development of the old Type 35, which put the price of the basic, non-electric window car up to £4,900 have only served to make me even more enthusiastic. 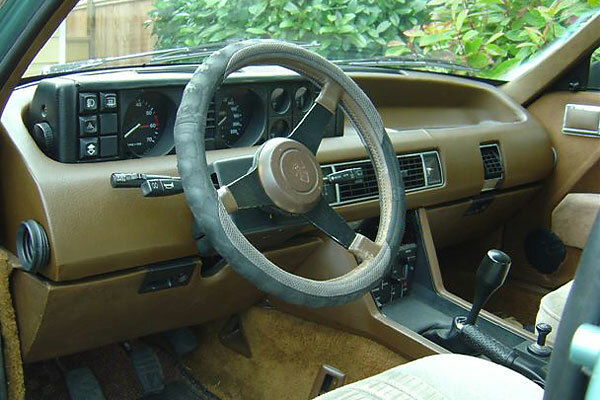 The driving position feels so good, for starters, helped by that adjustable, if ugly steering wheel. At rest the throttle looks to be too alienated from the brake, but on the move, heeling and toeing comes naturally. The seats are set quite high and there is almost a Range-Rover quality, see-all vista through the Triplex Ten Twenty laminated windscreen, tinted, like the rest of the glass area, as standard. This is the first production car to be fitted with the advanced Triplex screen which, say Triplex, "virtually eliminates severe cuts to the face and severe injuries to the eyes" in the event of an accident contact. Cold starting requires full choke, an instrument which needs playing with for a couple of miles for stop-start motoring, air temperature control valve or not. Hot starting is straightforward. The V8 warbles merrily, yet very subdued, at low speeds, emits some harshness when hard acceleration is employed, but settles down to a soothing, unflustered murmur when driven with a light right foot or at extremely high cruising speeds in fifth. It is that tall fifth gear which, with the excellent aerodynamics, gives this car such an extraordinary long-legged gait; this overdrive ratio offers 28.03 m.p.h. / 1,000 r.p.m., which means the eight pistons are moving at a mere 3,534 at 100 m.p.h.! On the other hand, the flexible V8 will pull fifth almost down to tickover. The owner of the automatic version will need a deeper pocket: on the same 3.08:1 final drive, his car will pull a mere (comparatively) 23.5 m.p.h. / 1,000. But gearing and aerodynamics mustn't be allowed to overshadow the engine's own contribution to uncanny economy. Leyland claim 24-26 m.p.g., touring and tell me the average over the duration of the Press test days was 27-28 m.p.g., with a worst of under 22 m.p.g. and a best of no less than 32 m.p.g. On one non-stop motorway/dual carriageway journey (abroad, of course, Your Honour) my road-test car averaged over 80 m.p.h., in spite of roadworks delays, to the tune of an incredible 25.6 m.p.g. On the other hand, this commodious 26.9 cwt 3.5-litre saloon also proved much cheaper for commuting into the City of London than my TR6, with which regular transport I must inevitably compare it. While the 2.5-litre two-seater, and slower sports-car averages less than 18 m.p.g. for this journey, this Rover recorded 21.3 m.p.g. when gearing and aerodynamics would be of little benefit. And to think I praised the petrol-miserly Porsche 911 2.7 for recording 21.58 m.p.g. over that journey, albeit on 2-star. 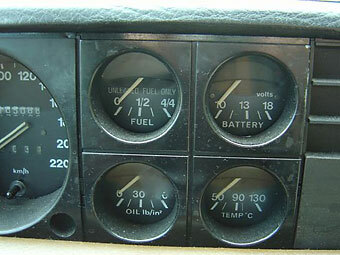 The 9.35 to 1 compression ratio Rover needs 4-star in its 14.8 gallon tank. 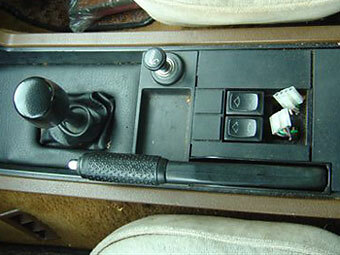 It is the aforementioned gearbox which helps make this car such a driver's delight. "Design a five-speed gearbox with a change as good as the Ford four-speed", was the engineers' requested criterion. The result I believe to be possibly the best mass-production five-speed gearbox in the world. It is a new type of design in that Timken tapered roller bearings are used on both mainshaft and layshaft, the first time they have been fitted to both shafts in a volume production box. The arrangement makes the gearbox stronger, more rigid and helps create the exceptionally positive gearchange. Peculiarly, reverse is on a dog's leg up to the left against a strong detent spring, instead of opposite the right-and-up fifth speed. There is a modest spring bias towards the third/fourth plane. The selection of every gear is satisfying, but the fourth/fifth and vice versa movement is particularly so: Rover have transformed into an easy, natural action a movement which has to be deliberate in most other five-speed boxes. 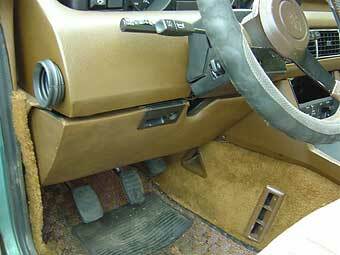 Clutch pedal pressure is of middleweight requirements. 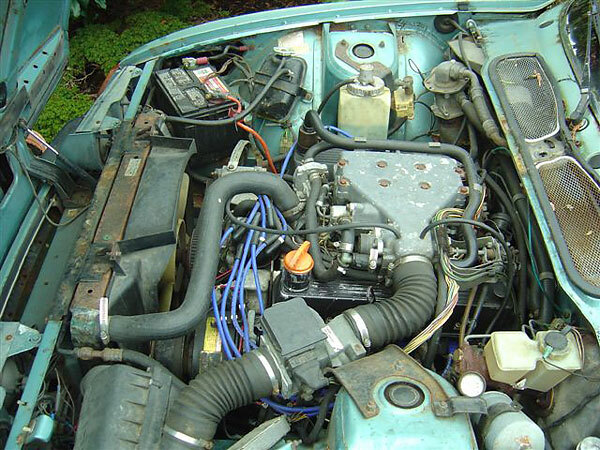 Though the engine is particularly flexible, the improved rev. range makes it pay to put the crisp gearbox to work for best performance. Some idea of the usefulness of the ratios can be judged from the speeds at 6,000 r.p.m. in the lower three of 43 m.p.h., 69 m.p.h., and 103 m.p.h., second and third being superb overtaking gears. If anything it is a shade over-geared, for the sake of quietness and economy. 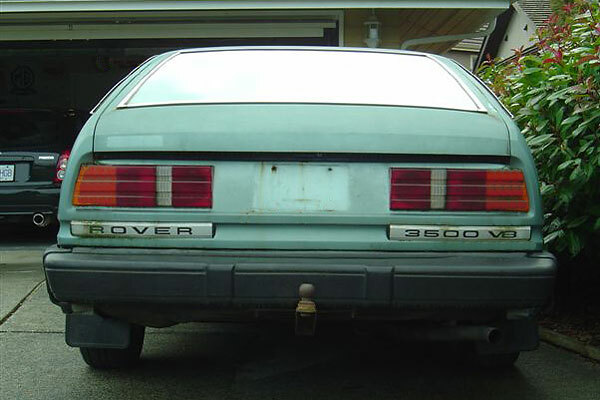 Nevertheless, this car is quick: I'm informed that Rover's quoted 0-60 m.p.h. in 8.7 sec. and 125 m.p.h maximum are very conservative for Trade Description reasons and 127 and 8.5 sec. or less will usually be nearer the mark. In its handling and roadholding this machine feels every inch as though it has been designed by enthusiastic driver-engineers for enthusiastic drivers. It corners flat and neutrally, unless pushed forcefully into roll on tighter curves. Even in such extremes it shows no vices if emergency correction of line is needed or if the throttle is lifted off abruptly or if squashed hard to the floor in mid-corner; no sudden oversteer nor run-wide understeer, just wonderful adhesion, smooth stability and impeccable traction from the non-limited slip live rear axle. There is a degree of response and ability out of keeping with this car's size, engineered by tautness of suspension and communicative, sensibly geared, power steering. I never ceased to be astonished at the precision and speed with which the considerable girth could be slotted in and out of traffic or hurtled down winding lanes. All this is done at the expense of slight suspension harshness and radial thump at low speed: as speed increases the ride and absorption of bumps grows excellent, passenger comfort assisted by modest roll angles. There is none of the sick-making ride of the old model. 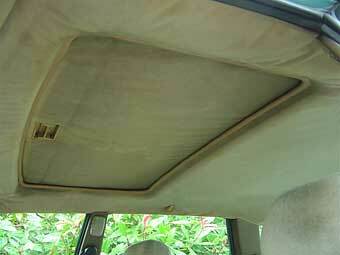 On the one hand this Rover is a taut sports saloon, on the other a comfortable, luxurious express. The test car's optional - extra wide alloy wheels and 195 section Pirelli CN36s seemed to offer cosmetic benefit rather than road manner improvements compared with the standard steel wheels and 185 section steel-construction Goodyears on my Press launch car. 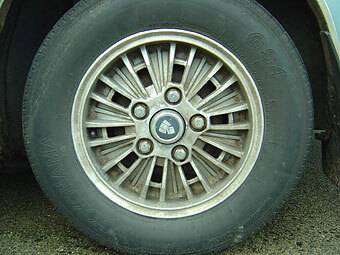 Those disc/drum brakes provided creditably powerful retardation. High winds experienced when crossing the moorlands into Scotland provoked infinitesimal twitch and in general this 4 ft. 11 in. track 9 ft. 2.25 in. wheelbase car's straight-line stability is highly impressive. That quality, the high gearing, reasonably low wind noise, and economy make this car a magnificent motorway mile-eater, no doubt an admirable continental touring car. 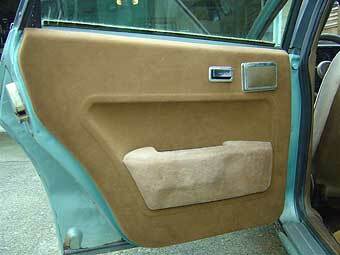 What wind noise there is seems to come from the door mirrors (only the driver's of which, is standard), which are manually adjustable from inside the car. When two are fitted, the car becomes excessively wide. The gearbox whines overmuch in second gear, the spare-wheel needs a cover to avoid it dirtying the carpet, the bonnet prop can be released only from the nearside, four instead of two screen washer jets are needed for the big screen (these being operated, along with the two-speed plus fixed-speed intermittent wipers, dip, flashers and horn from steering column stalks) and what has happened to the splendid Rover toolkit of old? This is the sum total of criticisms, a credit to Rover engineers. The whole car feels splendidly rugged in Range-Rover fashion, has the markings of providing the best rowing saloon on the market and can have its new thermoplastic paint treatment carried out in metallic finish at no extra cost. The new Rover 3500 (should we call it Mk.II?) is as far removed from the Rover image as was the advanced 2000 in 1963. Traditional Rover owners may take some initial persuasion to buy, although they can continue to purchase the 2200 models, which continue in production along with the Triumph 2000s and 2500s. But Leyland should attract a vast new following from customers who would never have dreamt of buying Rover in the past. BMW, Citroen, Peugeot, Volvo, Renault, even Mercedes will feel the effect of this brilliant new car which initially is exclusive to the UK. Jaguar will doubtless lose a few customers too, though maybe gain a few traditional Rover type owners who prefer walnut luxury and a softer compromise of suspension and engine. And no longer do Chief Constables have an excuse for buying "foreign". Here at last is a British high performance luxury sports saloon to take the place of the much loved Jaguar 3.8 of the early '60s. I hope that Rover can supply what ought to be a fantastic demand and maintain the quality which the concept deserves. Photos by Simon Austin. All rights reserved.